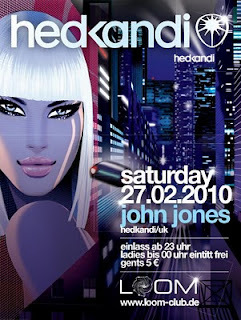 The Hed Kandi Party is taking its restart this Saturday, now at the Loom Club Cologne. We had two parties some months ago, but no other followed - no reason was given. I'm pretty excited this time as the new club is much better than the location before. 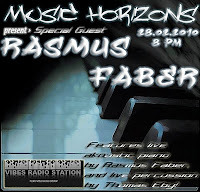 After that on sunday there will be a special guest Mix from the Fasmus Faber Orchestra which played live in Tokyo. You can listen to Ra Fa himself on the piano supported by the Orchestra which playes live percussions. Make sure you don't miss the Music Horizons show. It's being aired on Vibes Radio Station at 8 pm Bulgarian time, which is 7 pm in Germany / France or 6 pm in England. :(( I wish I could get there! !